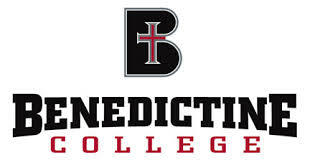 Benedictine College is an academic community sponsored by the monks of St. Benedict̠s Abbey and the sisters of Mount St. Scholastica Monastery. Heir to the 1500 years of Benedictine dedication to learning, Benedictine College in its own time is ordered to the goal of wisdom lived out in responsible awareness of oneself, God and nature, family and society. Its mission as a Catholic, Benedictine, liberal arts, residential college is the education of men and women within a community of faith and scholarship. As a Catholic college, Benedictine College is committed to those beliefs and natural principles that form the framework of the Judeo-Christian tradition, and it is committed further to those specific matters of faith of the Roman Catholic tradition, as revealed in the person of Jesus Christ and handed down in the teachings of the Church. The college embraces students and faculty from all faiths who accept its goals, seeking in its members a personal commitment to the ideals and principles of a spiritual life and the expression of these in worship and action. Benedictine College promotes the growing involvement of religious and laity in the Church̠s ministries.